Aeration is a powerful pre-treatment for filters removing iron, manganese and hydrogen sulfide. AerMax closed tank systems offer an efficient, economical, chemical-free method for oxidizing contaminants for easy removal by filtration. Standard AerMax units come in one size — a 10″ X 54″ mineral tank powered by the standard 115V. or 230V. compressor. This unit is effective at flow rates up to nine or ten gallons per minute. The same compressor and installation parts can be used with larger 2.5 top hole tanks, 12″ X 52″ and 13″ X 54″, to make aeration units for treatment at flow rates up to 12 gpm and 14 gpm respectively. 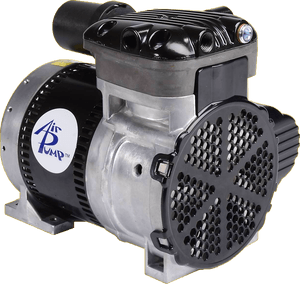 For higher flow rates, we now offer larger units built on tanks with 4″ top holes and powered by the CAP high capacity air pump. The chart below shows aeration units up to 35 gpm using 65″ tanks. It should be noted that the 65″ tank units include the pump, installation kit, and the tank. The inner riser and inlet tube can be easily made with standard hardware store PVC parts. Complete instructions are included. Prices above include shipping. They are subject to change. Higher flow rates can also be achieved by using two units in parallel. For example, two standard 10″ x 54″ AerMax units can be installed in parallel for a combined flow rate of 18 gpm, and you could treat up to 70 gpm with two of the 18″ X 65″ units installed side by side.